One of the best ways to increase sales is to put on your own seminars. 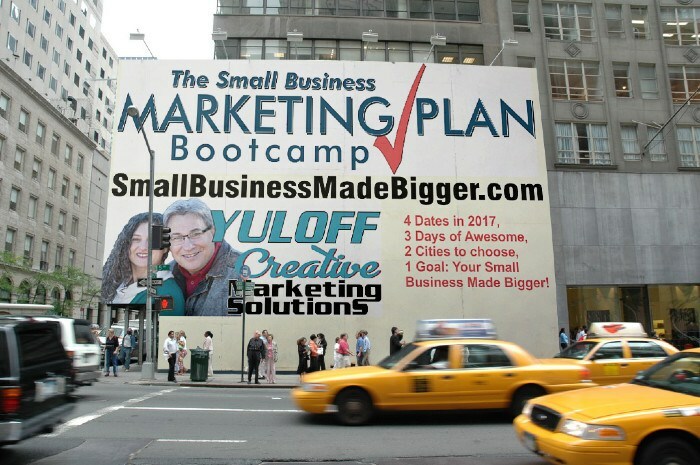 Here is a description of several types of seminars we use to promote Yuloff Creative Marketing Solutions and The Small Business Marketing Plan. I get asked all the time how and why I began to put on my own seminars. I thought for this first blog on seminars, I would share the kinds of seminars we put on and in the next blogs share more of the details. So, why put on our own seminars? Great queston! Speaking on stages is considered to be one of the best ways to establish yourself within your industry as an expert and to create an incredible sales funnel. But when we are beginners, sometimes we have a hard time getting on to other people’s stages. So how do we get that valuable practice time? When you put on your own seminars, you get to choose the theme and have complete control over all the details. Of course, you are IN CHARGE of all the details, and making sure that they all come together well. There are several ways to put on seminars. Today, let’s talk about seminars from the point of view of length of the seminar. We run 3 different types of events: Short, medium and long. The short events are 90 minutes long. We call them “Monthly Marketing Mornings.” We run them in connection with business organizations, usually a Chamber of Commerce, though recently we did one for a United Way branch that puts on events for other non-profits as a way of developing community. These events are always free to the attendees, with one exception. We run several MEETUP groups (MeetUp.com) which we tie in to the Monthly Marketing Mornings and we charge a nominal $5 to attend. This money goes to the sponsoring organization (this fee pays for coffee and cookies). The second kind of events we run are half day long. These are free or very inexpensive in cost and for these, we partner with organizations as well. Both of these short events and half day events give us valuable 3rd Party Validation as the experts in the group. When there is not a sponsoring organization, we have a minimal charge to cover costs. The purpose of the first two types of events are to get people to a different event: Our own several day long events. We run 1 to 3 day events which are inexpensive to moderately expensive as an introduction to our services. These are our own events – sponsored by our company. The purpose of these events are to sell our products. Many people use the longer events to sell LOTS of other people’s products too, but that is not what we do. We prefer to offer a product of superior value, and not make it a 3 day sales pitch. Our thought is that when we are on stage for upwards of 20 hours, it makes the eventual sale easier. So far, that has proven to be true. If you want help putting together your own events, get in contact with me and we will answer your questions. “Hank Yuloff is a Targeted Marketing Tactician with 30+ years experience helping Small Businesses get Bigger. He is the author of three best-selling marketing books and is a top tier producer in the promotional product industry.